For a rare moment, Soldiers of the 1st Brigade Combat Team's 10th Brigade Support Battalion gathered April 23, for a special occasion - receiving their 10th Mountain Division former wartime service patches. The ceremony, led by Lt. Col. James Phillips and Command Sgt. Maj. Corey Watson, the command team for 10th BSB, marks a special day for many Sherpa Soldiers because it will forever change the way they are looked upon in the Army. More commonly known as a combat patch, it is a tradition dating back to the Revolutionary War. It is a significant change to a Soldier's uniform. They wear the Army Combat Patch for the rest of their career on the right sleeve of their uniform, which sets them apart not just from other Soldiers, but from a large population of the citizens of the United States. 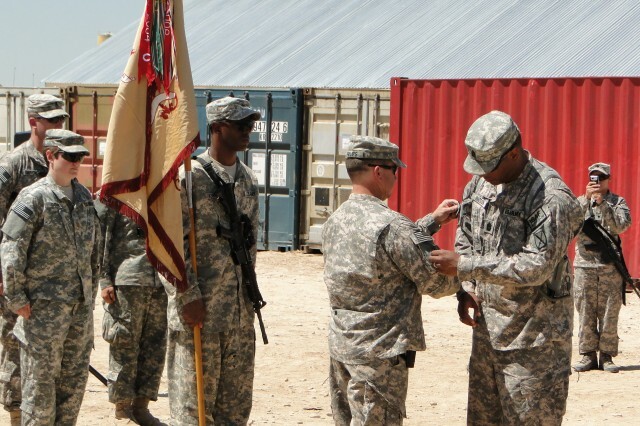 The combat patch signifies a Soldier has been deployed in a combat area. It so alsignifies their association into brotherhood and sisterhood inside the Armed Forces, and even in the 10th Mountain Division itself. 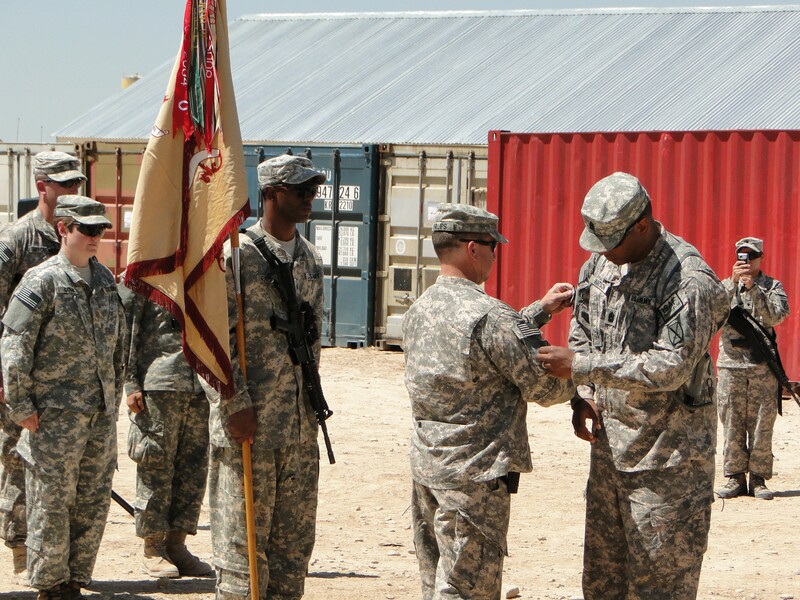 "This was a prideful moment to receive my combat patch, this shows that we went all out for our country," said Spc. Elieen Samoza, a first time deployer with Headquarters and Headquarters Company, 10th BSB. "It was a proud day for the Sherpa family and our Sherpa chronicle," said Staff Sgt. Jessica Walla, who deployed with the 82nd Airborne Division in 2006. "The ceremony symbolized a new chapter for the Afghanistan people and the American Forces spearheading the surge, trying to win the hearts and minds. The patch went to all of us in the 10th Mountain through shared commitment, valor and hardship"
The Soldiers who have deployed with 10th BSB in Afghanistan are transformed forever, whether they stay in the Army and become careerist or strike out in the civilian world, they will always feel the weight of the combat patch on their right shoulder.